Designed with the look of merry red PJs, our Personalized Pajamas Stocking can be personalized for added fun! The stocking is designed in festive red with white trim, and a button-up flap like the one on your favorite pair of long-john pajamas. 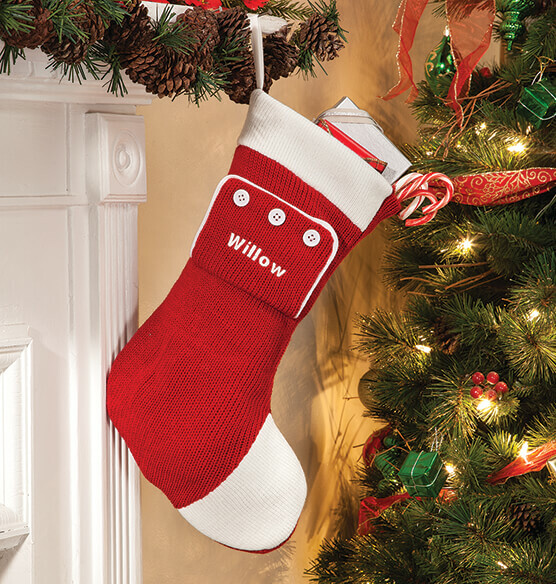 Create a personalized stocking for St. Nick to fill, year after year! Specify name. 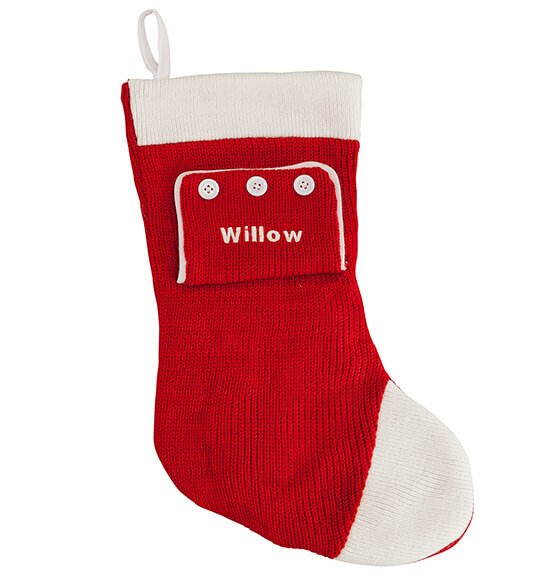 I bought this personalized stocking for my grandson, then filled it with treats & small toys. He was thrilled! High quality & great value.